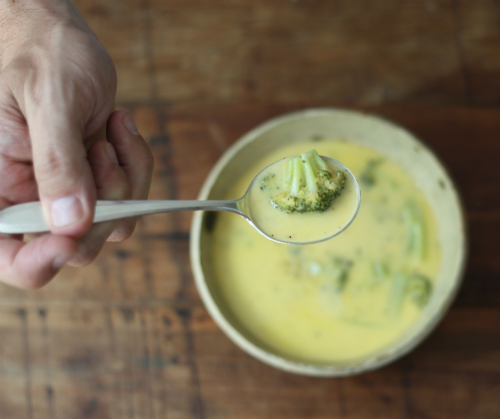 As fall draws near, comfort food again shows up in the rotation at least once during the weekend and it would not be fall without broccoli and cheddar soup. As I mention later in this post, I will have leftover soup and create a totally new dish with any overages later in the week. 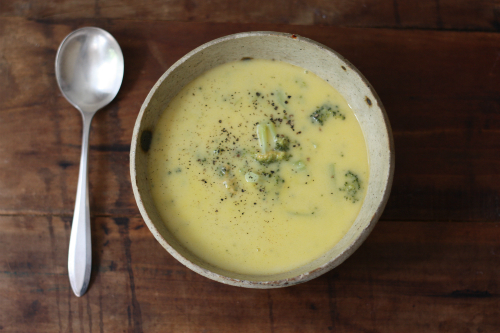 You might recall last fall I wrote about Broccoli Cheddar Soup for Hills and Heights, and this past weekend I just got that same hankering for this comforting cheesy dish! Something about this time of year. 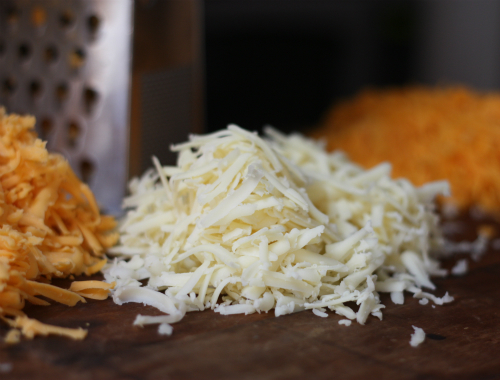 Start by shredding the cheese — you can cheat and buy shredded cheese, though if you use the exact ingredients listed above, prepare to shred, as Colby and White cheddar are difficult to find shredded. 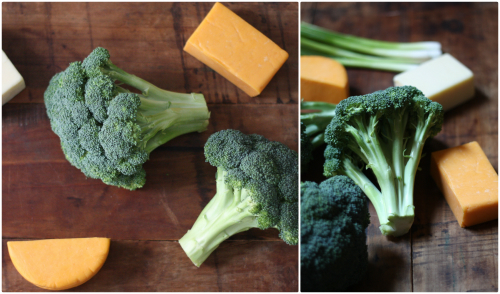 Boil a pot of salted water and add the broccoli stems first, boiling for 2-3 minutes. Add the broccoli florets and blanch 2-3 minutes. Drain and add to an ice water bath to stop the cooking process and keep the deep green color. Remove from ice bath and reserve. Heat olive oil in a pot then butter to melt. Once melted, add flour, green onion and pepper to form a roux or paste — careful not to "clump" the flour. Add the chicken broth slowly, whisking with a whisk. 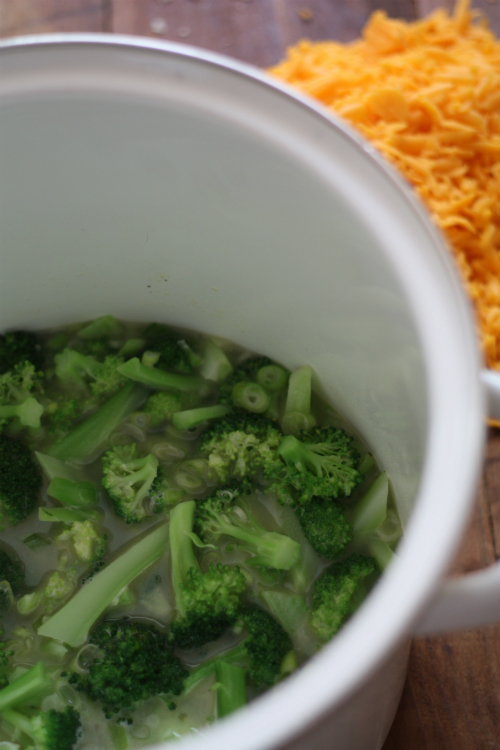 Add the broccoli and simmer 15-20 minutes. 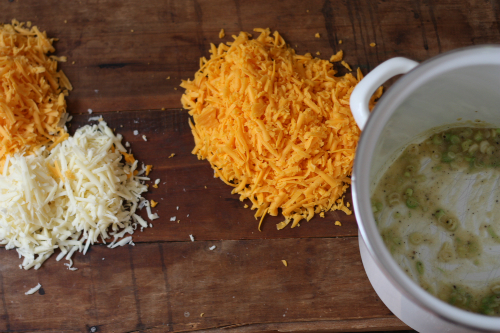 Add the cheeses and stir on low heat until combined and melted for 2-3 minutes. Slowly stir in half and half to combine and cook for 10 minutes on low heat. You are now ready to serve into bowls and add additional fresh ground pepper. Compliment this soup with some warm crusty bread fresh from the oven. This turns out to be my classic version on an old favorite that is easy to make and will allow me to have soup leftovers to also create a totally separate meal later in the week. 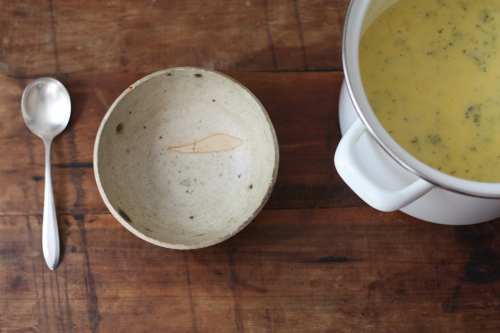 Stand by Friday for a quick and simple leftover use for this savory soup! It certainly is coming into my soup season and usually chili is the first to make an appearance but not this season. What is your first soup of the season when the weather starts to cool? I love this and French onion! Let me know how you like it. Thanks for stopping by! 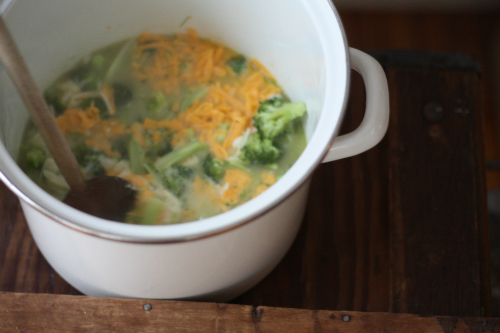 This may sound gross, and I apologize if it does but I was just wondering, if you poured a little ale into it as well would it be sort of like a cheddar ale soup with broccoli? Because that kind of sounds good...but maybe not, maybe it would ruin a perfectly good thing. Angie you mean like this? Your photos make me want to make whatever you just did. 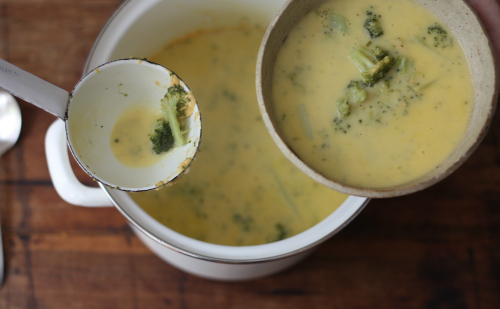 And broccoli cheddar soup is one of my favorite comfort foods. Thanks for sharing this recipe. Thanks and right up there with French onion soup for me! Thanks for stopping by! Add the curry powder bit by bit and taste as you go! Wow! Willow this looks amazing and comforting I am going to have to try this! Thanks!